There are some facts about beer you may not know even if you regularly enjoy an amber ale. Here’s the beautiful truth. Some of the most iconic Aussie beer brands – as well as international favourites – from our country’s largest brewer, Lion Australia. Everywhere people love beer. So that’s everywhere then. From WA’s Swan Draught to Queensland’s XXXX and on to Tassie’s James Boag’s. And don’t forget the international favourites such as America’s Budweiser, Holland’s Heineken and Ireland’s Guinness. Know your limits and enjoy your beer responsibly. And like most alcoholic beverages, beer is best enjoyed with a mate. Lion brews some of the most iconic Australian beer brands you’ve had the pleasure to consume. 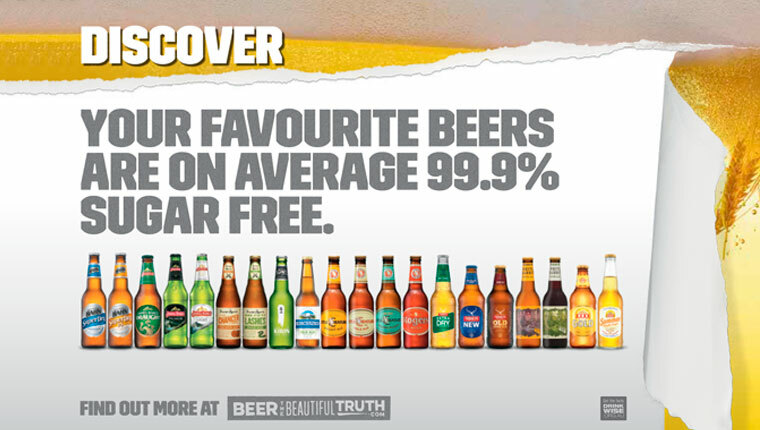 Tooheys, XXXX, Hahn, Little Creatures, James Boag, James Squire...the list is pretty comprehensive. If you’re yet to settle on a favourite we recommend you try them all – in moderation of course. Because they’ve each got an individual style, flavour and nutrition content despite being made up of pretty much the same thing. What’s in a beer? Hops, right? Some yeast, some water, maybe some sugar, probably some preservatives. Actually, most Lion beers are on average 99.9% sugar free as natural sugars are consumed by the yeast during fermentation. But wait, there’s more. Or less actually. Less preservatives that is. Hops helps to keep beer fresher for longer and alcohol itself is a natural preservative, so why add more? And given that breweries operate under hygienic conditions using bacteria-preventing technology there’s no need to mess with nature. Hence the happy fact that most Lion beers are preservative-free. And if you’re counting carbs or calories you can rest easy on that score too. Most Lion beers contain between just 80 – 174 calories, and the carbs are broken down into sugars in the brewing process and are subsequently consumed by the yeast during fermentation. Want to know more? Visit http://www.beerthebeautifultruth.com. Find out the beautiful truth about your favourite beer, styles of beer, what food they match to and there’s even a beer quiz you can take.